The earbuds are covered with something thick, solid etc. 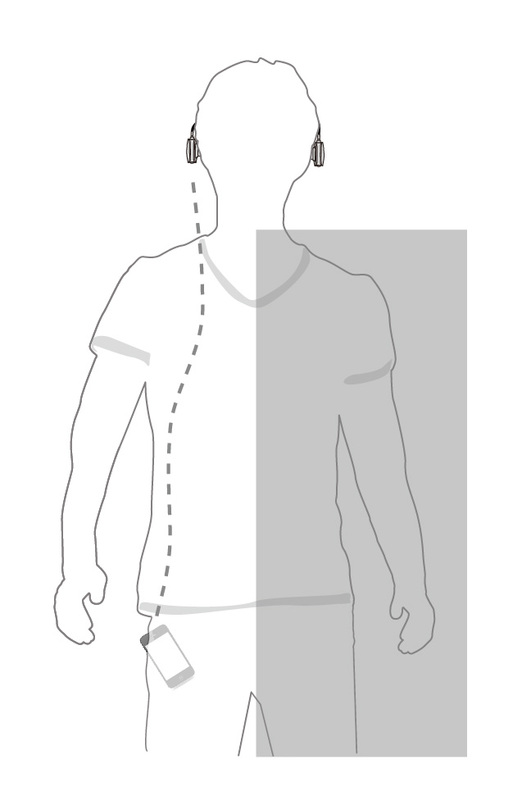 Let's say when you try to adjust/fine the position on your ear, or put your mobile phone in the back pocket of your pants, or inner pocket of some warm clothes. When you walk through a space with concrete walls while the the phone is left far away.